The Wharton Innovation Doctoral Symposium will bring together doctoral students from different business-related disciplines and different parts of the world to discuss their developing research constructively. Over the past two years, interest in innovation research among Wharton PhD students has skyrocketed. 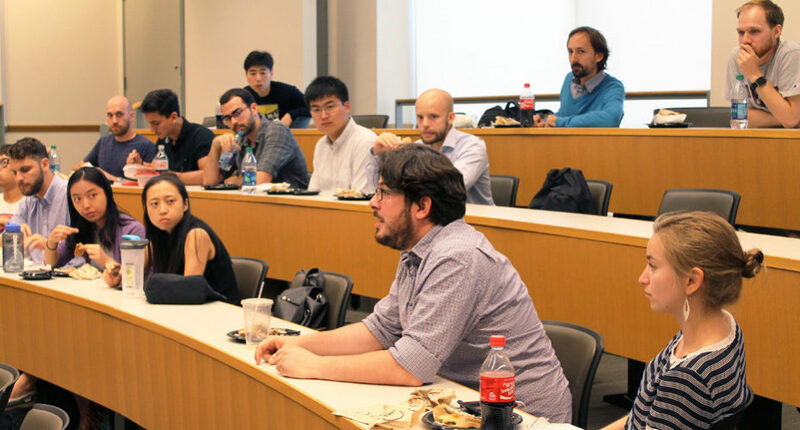 The Mack Innovation Doctoral Association (MIDAs), a PhD student group launched in 2015, has succeeded in creating an outlet for Wharton doctoral students from various disciplines and departments to come together and share ideas. Soon they began looking for a platform where they could interact with other doctoral students from different parts of the world and different business-related disciplines, such as strategic management, organizational theory, and finance. When their search came up empty, they decided to create one themselves. The inaugural Wharton Innovation Doctoral Symposium (WINDS) is set to take place October 5-7, 2017. Its goal is to provide a risk-free, stimulating, and friendly environment where doctoral students can discuss their developing research constructively. 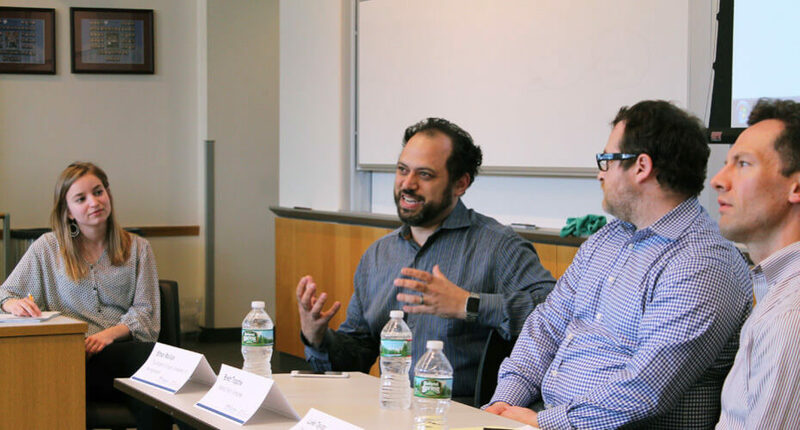 “We were keen to develop a Wharton-led doctoral conference that was multidisciplinary and more focused than other doctoral conferences,” said John Eklund, a fourth-year Management student and member of the organizing committee for WINDS. While sharing a common interest in innovation, the presenters and audience will be diverse in terms of specific topic, discipline, and methodological approach. This event fuels MIDAs’ efforts to increase the dialogue surrounding research in innovation and in a global nature, as presenters are from various parts of the globe. MIDAs co-founder and WINDS coordinator Andrea Contigiani, GrW’19, received over 100 applications from schools in North America, South America, Europe, and Asia. Students were invited to apply in one of four areas: Economics and Policy; Finance and Accounting; Strategy and Organization; and Technology and Operations. “In some sense, this is an experiment to test the hypotheses that combining different views in a well-designed environment leads to better ideas,” explained Andrea, a PhD candidate in the Management department. At weekly MIDAS meetings, doctoral and postdoctoral students get together to have food and good discussion about innovation research and make useful connections across disciplines. The event is a dream come true for Andrea, who worked as a research assistant for Penn Wharton Entrepreneurship before deciding to take the doctoral route. “MIDAs has gone through a fantastic evolution, which I’d have never imagined before,” he said. It all started with a cup of coffee and a conversation two years ago. Andrea met with his friend and fellow Wharton student Kyle Myers, GrW’17, to discuss innovation and soon realized other PhD students might be interested in the topic as well. “Because innovation is not a core discipline or subject area of business schools, it was not uncommon for one or two students from each department to express interest in the topic but lack an outlet for them to discuss their early research ideas — most seminars are department-centric. This is exactly why I was so excited by Andrea’s idea to start MIDAs,” said Kyle, who completed his PhD in the Health Management and Economics department in 2017. Soon they brought their idea to Wharton’s Mack Institute, who decided to fund the student group. It aligned closely with the Mack Institute’s mission as a thought leader in innovation management and they were excited to foster and grow the PhD research community around innovation. MIDAs became official — a collaboration between Wharton PhD students, the Mack Institute, and Wharton Doctoral Programs. “While the Mack Institute is our main partner, Wharton Doctoral Programs, especially past Vice Dean Eric Bradlow and current Vice Dean Catherine Schrand, have been very supportive of the group,” Andrea said. The group’s membership almost instantly grew to more than 20 PhD students, with backgrounds ranging from Health Care Management to Accounting. That’s a positive, according to Michelle Eckert, the marketing and communications coordinator for the Institute. “A core value of the Mack Institute is that the most creative ideas often come about when you bring different perspectives together, and I think this is something MIDAs embodies really well,” she said. Open to doctoral and postdoctoral students from all Wharton departments, MIDAs meets every other week. The group offers an informal and stimulating environment for students to propose new research ideas, discuss preliminary work, highlight new data sources, receive suggestions from peers, share research methodologies, and circulate helpful information. On top of standard meetings, MIDAs holds two panel sessions to foster a better connection between industry and academia. For each of the panels, the group chooses a theme and the Institute invites industry corporate partners and Wharton professors to discuss the topic. Industry corporate partners and Wharton professors participating in an academic panel on VC investment strategy. MIDAs has continued to grow in numbers and has created value for students in understanding what other fields are doing, what they’re working on, and how they can apply similar techniques to their own research and discipline.